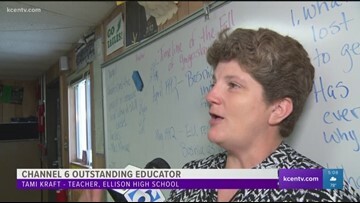 Ms. Kraft teaches social studies at Ellison High School. 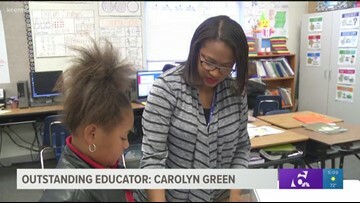 Stephen Adams introduces us to a Killeen teacher who comes from a long line of educators. 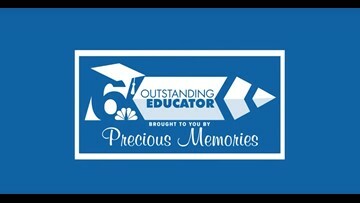 Nominate someone for the Channel 6 Outstanding Educator award! Having trouble using the nomination form? Just email scadams@kcentv.com to nominate someone! Channel 6 News' Stephen Adams surprises Waco ISD's Carolyn Green with the Outstanding Educator Award, sponsored by Precious Memories. 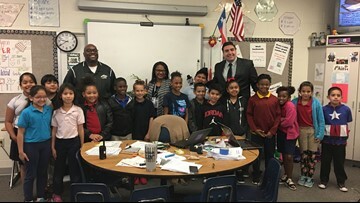 Check out this local educator surprise! Digital Content Manager Stephen Adams reports. Channel 6 News named Pat Aslin the first Outstanding Educator of the 2017-2018 school year. 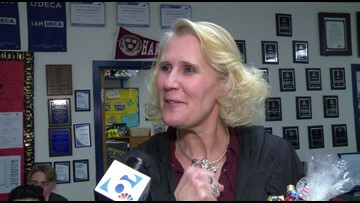 Midway ISD Physical Education Teacher Jalayne Rinewalt is March's Channel 6 Outstanding Educator. Parents described Miss Harris as "exactly what you want in a teacher for your child."